The 1988 Qing Bing is a very famous cakes from the 1980s and early 1990s. Like the 1999 BGT I thought I would share my experiences with it. Phyll Sheng lays out the criteria for 1988 QB in this informative post. A sample was very generously sent as a wedding gift by Su who has stored this tea for a couple decades in Malaysia. Thanks so much for your generosity Su! If you look at the first criteria Phyll lays out: 1989-1992 7542.. That means that the 88 QB isn’t just a single production, but covers a range of years and different 7542 batches.. This means that there’s inherently variability, because the batches aren’t identical. The 7542 recipe is one of the landmark Dayi recipes and is known for having average-sized leaves. It’s potent, punchy and built for the long-term. Had in conjunction with a bunch of younger factory teas. This was brewed strong but because of the age the strength was a bit more moderate. Good body, depth, bitter, and especially huigan. A plummy, woody, textured taste. Some qi. The brewer said that he only gets 7 or 8 brews out of it. Partly because it is pushed heavily. Even though, I enjoyed that session, it wasn’t in my normal tea space and I was really looking forward to a chance to drink the 1988 QB under my own setup. 1988 QB’s second criteria is the dry-storage. The tea is frequently associated with Vesper Chan the proprietor of Best Tea House in Hong Kong. Rather than traditionally storing these teas, Chan famously stored them dryly. During this time period, dry storage was quite uncommon. Unsurprisingly, it is extremely difficult (and costly) to find any teas from this era stored dry. Vesper Chan wasn’t the only one trying out non-traditional storage, just one of the most famous practitioners and an early beneficiary. The tea covered in this post was not in fact stored by Vesper Chan but dry-stored by Su in Malaysia. I am a big fan of what her dry storage does to teas and she has been the tea donor behind some of my absolute favorite tea sessions, including a memorable encounter and session with Phyll himself (a session and meeting I earnestly still daydream about). 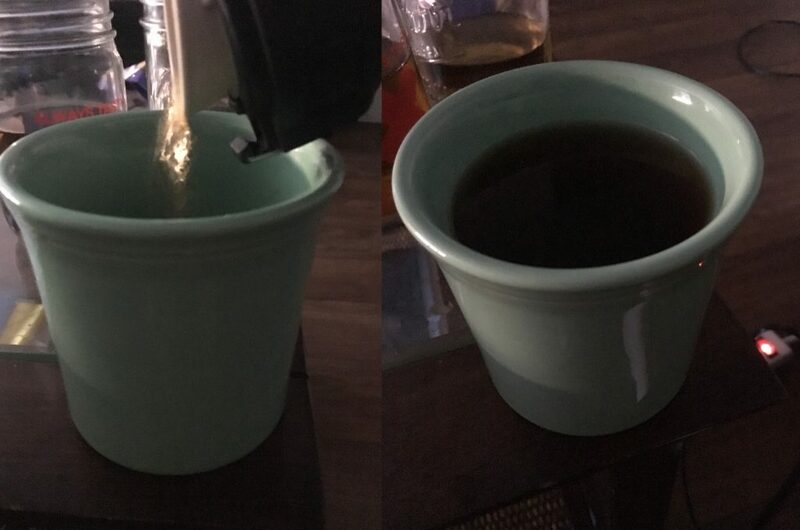 For this tea, I used ~6.4 grams in a 95ml yixing pot. I used low TDS water (on Su’s recommendation) from Whole Foods, heated up with my tetsubin and hot plate. Was consumed about a week after I had the 1999 BGT Blue/Black Ticket from Peter. The session was started early with ample time to allow for full appreciation. 1. From the get-go you can tell that this is a totally different beast from more humidly stored tea. The aroma is sweet, rich, pungent, fruity. Notably it occupies a fuller and higher range of notes than you would expect from a more humidly stored tea. The liquor opens up with a light red that is very clear. It is thick, active, and rich. 2. As expected steep 2 Is even stronger. The liquor remains very clear and is now vividly red. It is tart, thick, and rich. Both 1 and 2, are dense, pungent, and full of flavor. There is a aftertaste that lingers heavily in the throat. I take sometime to admire the activity of the tea and its aftertaste before adding water to the tetsubin and reheating.. I feel some of the energy in my upper chest/diaphragm. I also note that due to my own inexperience with older, dry-stored teas if I were to blind taste this I’d undoubtedly peg it as much younger. 3-4. The tea continues to grow stronger. It is thick, clean, pungent, oily, woody, grain and again not immediately sweet. This is very powerful tea. There is also a fair amount of sourness and astringency in the brew. These steeps are the strongest and most active of my session. 5. The tea eases up ever so slightly and gets slightly softer. It’s still not immediately sweet at all, although there is plenty of sweetness in the aftertaste. I take a longer break at this point. The tea is potent and strong. The qi isn’t overpowering or a mind altering experience tike the 1960s/70s Yellow Mark was, but it is there and I can feel it flowing in my body. The tea really lingers in the throat with its booming huigan. 6-8. A bit fruitier (plum), with a wood/grain profile. The tea no longer has any tartness and begins to indicate that it is very slightly softening up. There is still a light astringency and dryness on the finish, indicative of the tea’s overall strength. 9. I brewed this one a bit longer than previous steeps (~1 minute?) and it is strong, but not overly so. The tea is beginning to ease up. It is soft, but thick, with some higher, even floral notes. I also note the energy is really settling into my diaphragm and body. 10-12. Starting to move into more medicinal, woody and plummy profile. It is still quite rich and is now pretty easy to drink. Still swells up in the throat wonderfully. 13-15. About 2.5 hours after I started. The tea is being brewed for a couple minutes at this point. If I wanted to extend this session more, I probably could’ve slowed the pace or given the tea a break, and done it over several days. It certainly has the power to go that long. The profile is similar to steeps 10-12, with a soft, rich, fruit, wood profile. By the end, I’m brewing for about 5 minutes. At this point I concluded the gong-fu part of the session is over, but I want to get more out of the tea. So I transferred the leaves into my Zojirushi with boiling water and drink a few more cups into the afternoon and early evening. The thermos brews are similar to the later steeps. Woody and medicinal. My wife had a couple cups and remarked on the teas impressive power. Examining the leaf after the session (look at Phyll’s pictures too), they are somewhere between brown or green, indicative of the tea’s storage. 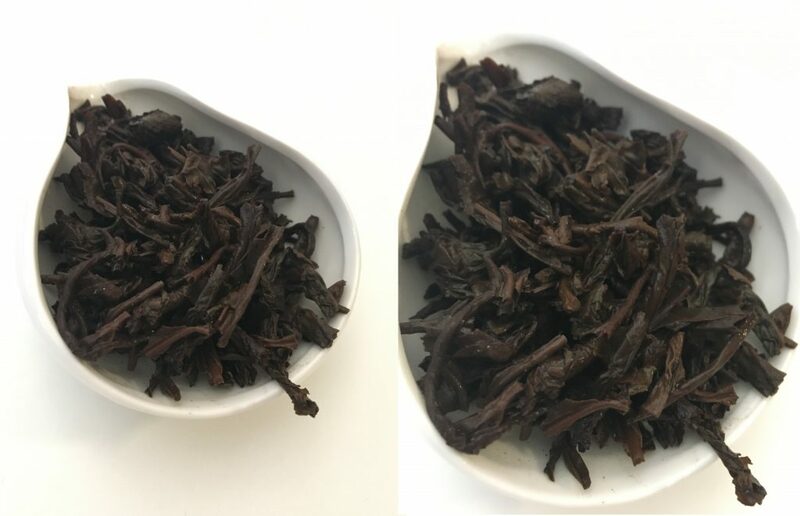 Compared with my previous experience with the 1988 QB, this tea is richer, thicker, more potent, and also less bitter. A definite upgrade. It is a heavyweight tea with aged strength, flavor and an especially impressive aftertaste. It is strong and active for nearly the entire session, especially early. The tea has a full and complex range of middle and lower notes, a reminder of what well-done dry-storage can do. Impressively, I’d guess that the tea could even be aged quite a bit more. This tea and its storage helps to re-anchor me and give me a reference as to what really good dry storage can do to a tea. It also makes me think that tea needs to be really strong in the right ways to taste this good 30 years down the line.. If my tea turns out half as tasty, I’ll be pretty happy. I’ve deliberately tucked this section at the very bottom.. For my own enjoyment of such expensive teas that I have no intention of buying, it’s important for me to block out value and not get too fixated on price –simply enjoying and appreciating the tea. For the curious, Clouds covers some of the tea’s rising price in his article on the 1988 QB. The tea goes from ~$51 in 2002 to $1538 in 2008, and now sells for north of $10,000USD. This entry was posted in Aged Pu'erh, Article, Drinking Report, Raw Pu'erh and tagged Dayi. Bookmark the permalink. Thanks for sharing James. We definitely have similar impressions. Dry stored puerh teas from the 1990s and earlier are not easy to come by. The 88 QB being very famous is synonymous to being very expensive. The one you are describing sounds like it can benefit from a few more decades in storage. At its current stage I feel tea enthusiasts who have some experience under their belt will enjoy and appreciate it more than a newbie. That said such teas are definitely worth trying and will greatly broaden a person’s perspective on how different storage conditions can influence aging and the road towards maturity. Thanks Varat. I absolutely agree. This tea has given me an experience that has really altered my perspective and has caused me to look at more modern teas with a more critical/discerning eye. Something I can say about very few teas I consume these days. Again, boys and girls. You know the quality of the tea by the quality of the aftertaste in the throat. When people talk about overpicking, it’s this throat action that has been disappearing. Better cultivation and modern processing has compensated for a lot, but it doesn’t compensate for lost aftertaste quality. This is why you should pay good money for quality tea of a certain age. Factory tea from before 2007 (For me, Dayi and Dayi-like productions, aka Kumning/Baijaoting/etc, and not Xiaguan/Shuangjiang Mengku/Changtai etc). Gushu teas from 2004-2009, etc. You will not find most of these teas to ever be cheap, or be able to buy new tea of comparable quality. I think that Dayi could be susceptible to a deflationary shock that impacts their prices, but such deflationary shocks might also drastically affect our, as well as Chinese, ability to purchase them. So taste these, buy these teas if you can afford them. Don’t cheap out. Buy two, so you can guiltlessly consume one, if you can afford it. There are a few “cheap” substitutes. I know that I have some degree of intention to get a tong of 2006 Taipei Memorial Conscientious Prescription, because that tea’s tasty, sweet, and often has a good aftertaste game (well, the less premium jincha does). NT$13000/tong from one of the guys at Facebook auctions. 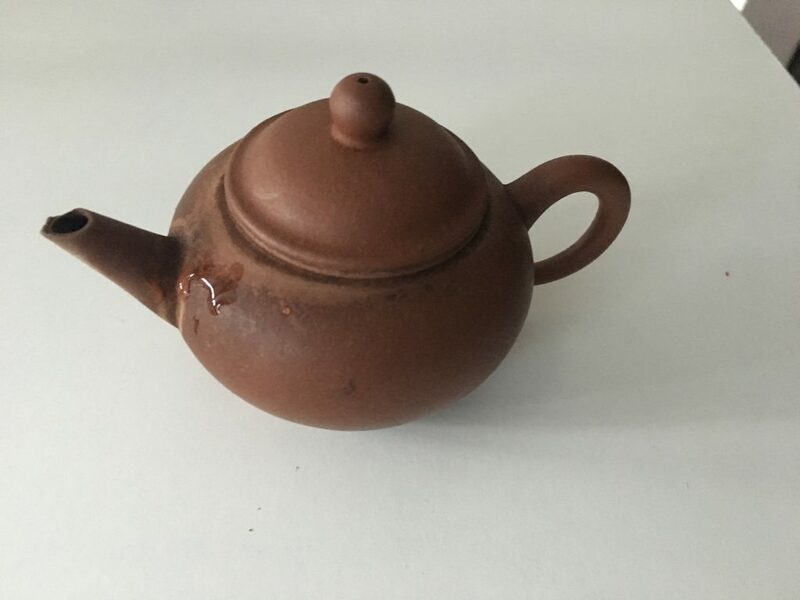 There are a number of high quality early XZH that can be bought for very reasonable prices on Facebook auctions, though the good stuff has gotten much more rarely offered these days. Another note to mention specifically about 88QB. Older factory teas tend to have much more of a “fat base” than younger factory teas. Today, it’s pretty polarized–factory teas have a solid, but narrow base, gushu teas have a loose, but broad base, and you pick between them based on the mood. However, the better old factory teas, especially those before the mid-90s tend to be both strong and broader than factory teas today. That tends to make them a real freakin’ treat. Having a small stash of truly good tea with some age to them can meaningfully improve your life by fixing a bad day, or girding your loins for a tough outing. Thanks for the comment and the information, shah. After having this version of the tea, I can hardly think of any comparable tea experiences I’ve had from the 1990s. The 88 Qing Bing is a real classic. Thanks for forfeiting your solitude experience with this famous puerh for such detailed notes. Great write-up. great learning tool on what dry stored aged tea is like! thanks for sharing.